Men face a number of unique health concerns, especially as they age. Fortunately, most men can live happy and productive lives by exercising regularly, maintaining a healthy diet, making simple lifestyle adjustments and visiting the doctor regularly. While it may be necessary to use prescription medications to maintain optimal health, all men should be aware of the potential side effects associated with the drugs they use. Some of the health problems that cause death and illness among men are entirely preventable. Unfortunately, many men do not make health a priority and avoid going to the doctor. Men are also more likely to smoke or use other tobacco products, drink alcohol to excess, and drive dangerously. Men in their 40s and 50s begin to produce less testosterone. Low testosterone levels are tied to weight gain, diminished muscle mass, fatigue and low libido, Men in this age group also face a higher risk for heart disease, diabetes and high blood pressure. In fact, nearly a quarter of all deaths from heart disease occur in men ages 35-65. Men in their 60s and 70s may experience hair loss and enlarged prostate. Calorie requirements are reduced as they become less active. However, nutrition is more important than ever, as men in this age group may have difficulty absorbing certain nutrients. 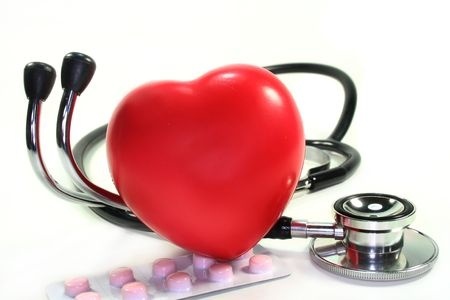 Heart disease: It is thought that 49% of men have at least one risk factor for heart disease, including high blood pressure, high cholesterol and smoking. Other risk factors linked to heart disease include: diabetes, obesity, poor diet, physical inactivity and excessive alcohol intake. Cancer: Cancers that affect men include skin, prostate, lung and colorectal cancer. Depression: Many men fail to recognize and seek help for depression. While women are more likely to attempt suicide, men actually account for 79% of all U.S. suicide deaths. Osteoporosis: Though this is thought of as a “woman’s disease,” men over 65 actually experience bone mass loss and fail to absorb calcium at the same rate as women. Colon cancer screening starting at age 50, or sooner if there is family history of the disease. Depression screening if you are experiencing prolonged sadness, hopelessness, anxiety, or stress, or if you feel little pleasure doing things. High blood pressure screening beginning at age 50, or younger if you use tobacco, are overweight, have diabetes, have a family history of heart disease or a history of heart attacks. HIV screening for men under the age of 65. Those over 65 should discuss screening with their doctor. Lung cancer screening if you have a history of smoking or tobacco use. Engage in 30 minutes of moderate physical activity every day. Actos: This Type 2 diabetes drug has been linked to bladder cancer and congestive heart failure. Risperdal: This atypical antipsychotic has been tied to gynecomastia, a condition which causes excessive breast growth in men and boys. Low-T therapy: Testosterone therapy medications like AndroGel are only indicated to treat men who suffer from low testosterone due to an underlying medical condition or illness. These drugs have never been approved to treat diminished testosterone related to normal male aging. Some studies have also suggested that low-T therapy may be associated with an increased risk of heart attacks and strokes.